The background was as follows. 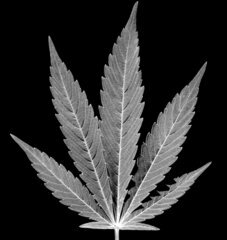 In 2013, the defendant, an unemployed tattoo artist, “obtained a written certification from a qualifying physician that approved his use of medical marijuana to treat a number of medical conditions…. The certification constituted a valid hardship cultivation registration permitting the defendant to grow up to ten ounces of marijuana every sixty days for his personal, medical use…. [T]wo months later, … the defendant telephoned 911 to report a home invasion at his residence.” Police officers converged on the scene and, in the course of their investigation, discovered twenty-two marijuana plants growing in the basement of the defendant’s home. In another room, the officers observed a digital pocket scale and numerous plastic baggies. The defendant was arrested. When the officers searched him, they found $2,135 in his pocket. He was charged with unlawful cultivation of medical marijuana and possession of marijuana with intent to distribute. At trial, the defendant’s former girl friend testified “that [the defendant] was not working at the time” of his arrest and that he was not a regular user of marijuana. In the judge’s instructions on unlawful cultivation of medical marijuana, he told the jurors “that the defendant had a valid hardship cultivation registration and that it was the Commonwealth’s burden to prove the defendant ‘had so many marijuana plants that the plant yield was certain to exceed [ten] ounces of usable marijuana every [sixty] days or that he intended to sell or distribute any of his usable marijuana.’” The defendant was convicted of both charged offenses. In its decision, the SJC opined that the judge’s instructions on unlawful cultivation of medical marijuana were erroneous because they “failed to explain that the Commonwealth must show that the defendant was intentionally cultivating more than ten ounces of usable marijuana in a sixty-day period. Without such a directive, the … instructions could have led the jury to convict the defendant even if he was unintentionally cultivating more plants than were necessary to yield ten ounces in sixty days.” In the Court’s view, the error created a substantial risk of a miscarriage of justice. In an Appendix to its decision, the SJC set forth model jury instructions on unlawful cultivation of medical marijuana. The legalization of marijuana – both for medical purposes and for personal use – has changed the legal landscape. If you or a loved one has been charged with any crimes related to marijuana in Massachusetts, you will need the assistance of a skilled defense attorney to help assess your case and determine what viable defenses you may have. Attorney Daniel Cappetta is such an attorney. He began his career at the Middlesex County District Attorney’s office and has extensive knowledge of the Massachusetts marijuana laws. Put his expertise in this evolving area of criminal law to work for you.